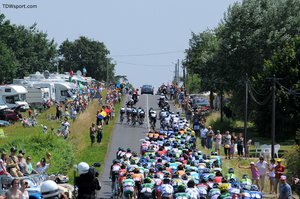 Stage 16 of the Tour de France was set between the rest day and the mountain Time Trial. The 168km course ran from Vaison-la-Romaine to Gap featuring two early climbs, ending with the infamous Col de la Manse and the narrow, technical descent into Gap. 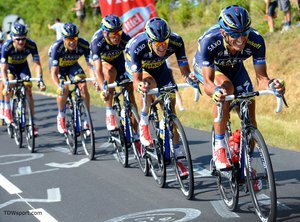 Today's victory belonged to Movistar Team and their Portuguese pro, Rui Costa. 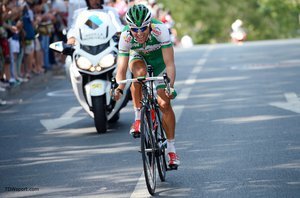 The two-time Tour de Suisse winner made his move early on the final climb and held his lead with a skilled descent into the Gap finish. The SRM race file below is from Rui Costa at approximately 67kg. 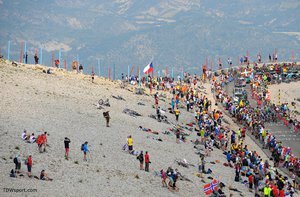 Stage 15 of the Tour de France was 242.5km from Givors to the mountain top finish atop Mont Ventoux in the Provence region of southern France. The longest day in the 100th Tour de France ended with Christopher Froome (Sky) extending his lead with a thrilling stage win. Movistar Team's Nairo Quintana battled for a close second 29 seconds back. Two category 4 climbs in the first 30km set the stage for an early break in the day. RadioShack Leopard's Spanish pro, Markel Irizar, made the first group and spent the majority of the race out front in preparation for Andy Schlek's potential attack. Markel's SRM race file is a spectacular example of the power and endurance required for a rider at the Pro Tour level.